With its classic varietal Cabernet profile, this focused and integrated wine shows layers of dark fruit, espresso, violet and herbal notes. 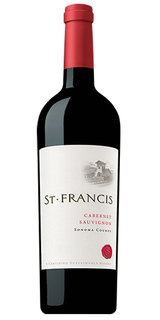 Layers of plum, blackberry and cassis mingle with dusty, fine tannins through a balanced finish. Sleek and precise, with expressive blackberry, espresso and licorice flavors that take on richness toward the refined tannins. Drink now through 2024. 6,665 cases made. There's much to love on the aromas, with notes of toast, cocoa, cherry and spice. The palate shows a pleasing interplay between the fruit and acidity. It needs some food to truly be appreciated. It should shine alongside a juicy steak.